Here we have compiled a list of our recommended beginners telescopes. Ideal for first time users wanting to get started. 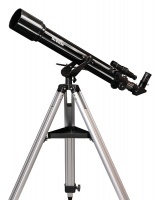 We have a few different type such as refractors, reflectors and maksutov telescopes. All do certain things better than others. As always, if you need help in deciding on the best telescope, just get in touch with us. Recommended accessories for all these telescopes are below with links that will open a new window. 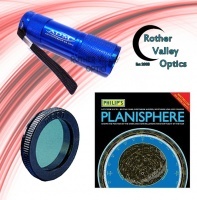 If you require any help with choosing the right telescope or help with accessories just get in touch on 01909 774 369 or email us at sales@rothervalleyoptics.co.uk. 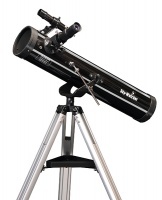 The SkyWatcher Mercury 707 70mm Refractor Telescope offers fine views of the Planets, Moon and brighter deep sky objects. Complete and ready to use this instrument offers excellent performance at a remarkable price. 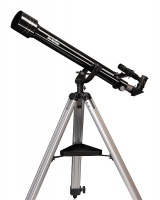 The Sky-Watcher CAPRICORN 70 (EQ1) is an excellent choice for the novice astronomer. It features an equatorial mount with manual slow motion controls to make tracking and locating objects easy. 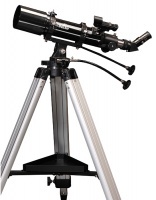 Recommended for the observation of the planets as well as deep sky objects, this telescope would be a good introduction to astronomy for a beginner astronomer.